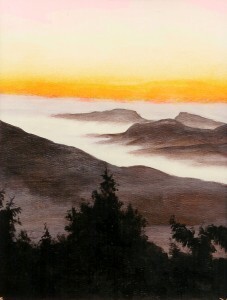 This image was painted on watercolor paper, inspired by glimpses of the fog filled valleys that surround us in Newton County. Now, I have a very similar view right outside my Studio window. 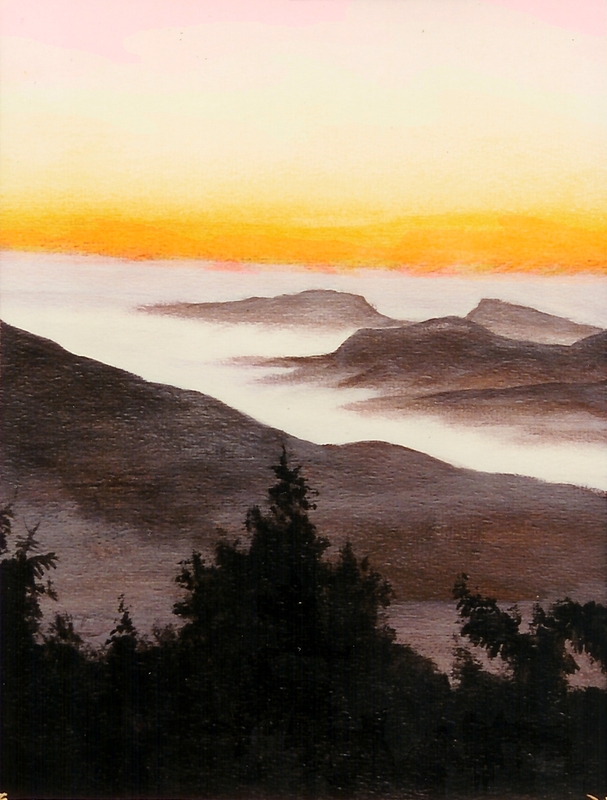 The Original Painting was sold ages ago, but 8×10 prints matted to 11×14, with or without a frame are still available upon request.